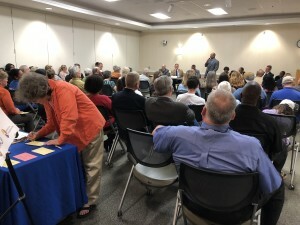 Recently, over 70 voters from Charles County attentively listened to several candidates running for Maryland General Assembly in District 28. Eight candidates including three incumbents discussed their positions on key issues related to the environment and public health. 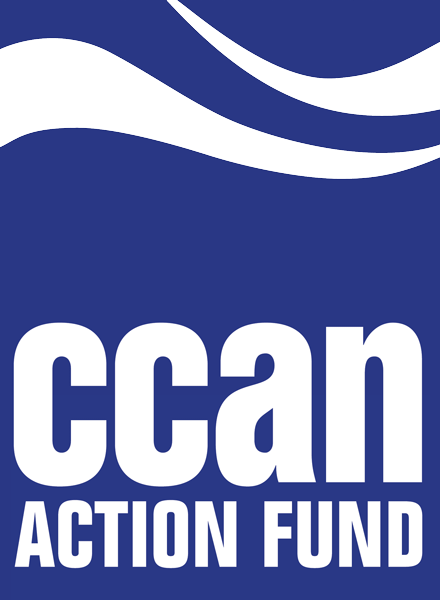 The event was live streamed on CCAN’s Facebook page. Those in attendance running for Senate position included Senator Thomas “Mac” Middleton, Arthur Ellis and John Leonard. Those running for Delegate position included Delegate Edith Patterson, Delegate C.T. Wilson, Jim Crawford, Edward Holland and Bill Dotson. 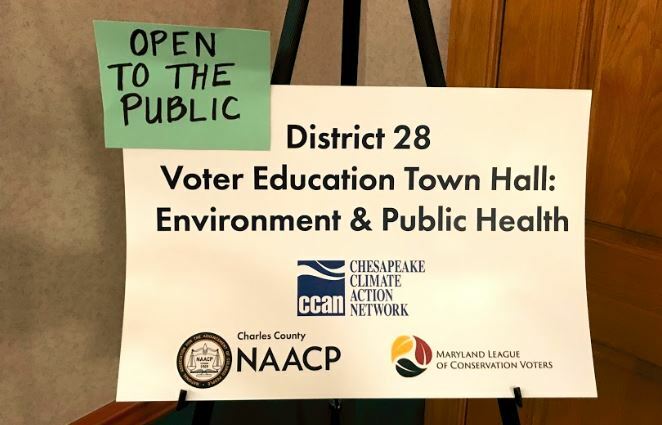 CCAN worked alongside the Maryland League of Conservation Voters and the Charles County NAACP to host this event at the College of Southern Maryland’s La Plata Campus. 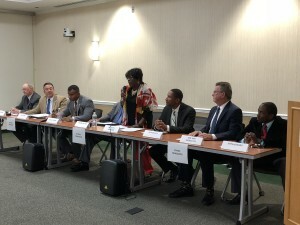 Residents from Charles County directly engaged with candidates before and after the town hall to discuss their concerns. Opening remarks were given by Liz Lee, Director of Maryland Volunteer Outreach for CCAN and Joseph Sampson, 1st Vice President of the Charles County branch of the NAACP. Brooke Harper, the Maryland Policy Director for CCAN and Environmental Justice Committee Chair for the Maryland branch of the NAACP served as the moderator. After introductions, each candidate answered questions submitted by members of the community on a range of topics including the best way to deploy clean energy in Maryland, public transportation systems to the need for more mental health services and facilities. The candidates had strong differing opinions about overdevelopment and expanding gas infrastructure in Charles County. In their closing statements, the candidates encouraged the crowd to vote and explained why they were the best candidate for the job! Watch the excitement all over again on the Facebook livestream. And commit to voting for clean energy candidates in Maryland!